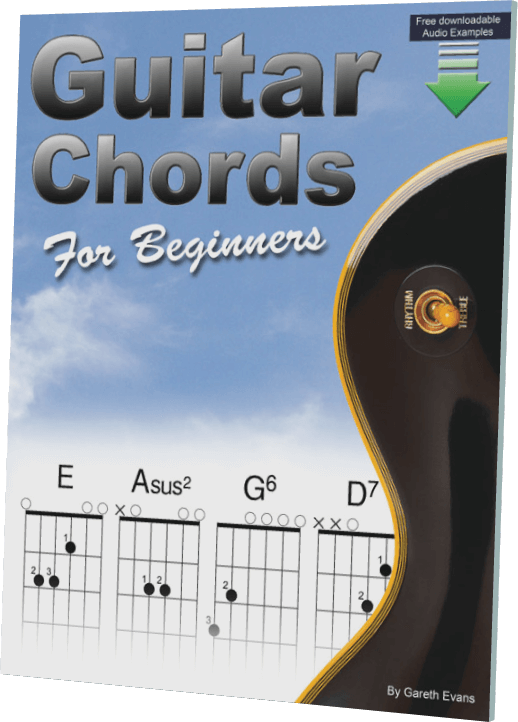 Guitar Chords for Beginners contains 65 different chords arranged in easy fingerings, with some of the more difficult chords dealt with incrementally allowing you to focus on the difficult fingers first with a freer hand, before adding other fingers. "Looks fab. I particularly like the different ways of playing the A chord. The physical warm-up exercises for flexibility are also good. 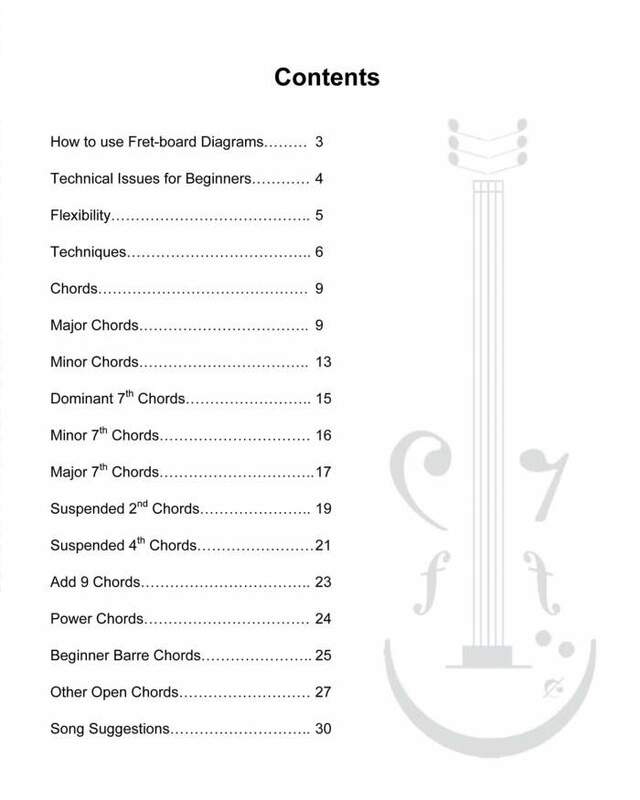 It is good that movable major and minor barre chords are shown as partial versions to make them initially easier, and beginners might find extra interest where near the back of the book easy open versions of other more exotic chords are shown." 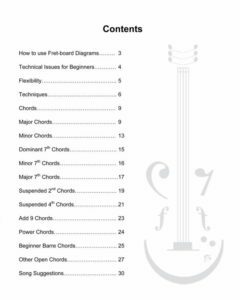 "The information covered in technical issues for beginners especially explaining the difference between chords on piano and guitar is great. I think starting with the small position chords for C and G etc and building up to full position is also really important for beginners." 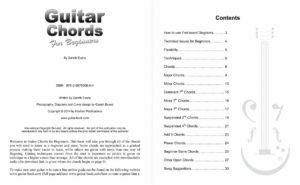 "Guitar chords for beginners is uniquely practical among beginner guitarist books, in that it presumes no prior knowledge, and its primary focus is to help the beginner get started with chords, rather than bamboozling them with too much information. To my mind this is the best way to keep new players engaged in their learning and give them the opportunity to progress." 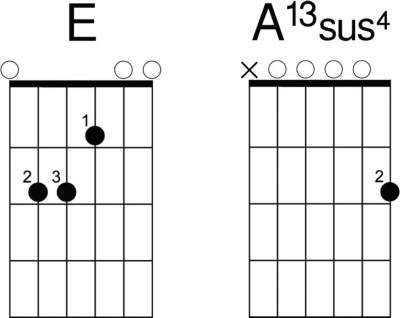 Guitar Chords for Beginners emphasis is mostly on open chord versions (chords that contain strings that aren’t fretted). Whether E major or A13sus4 the open chord arrangements give the beginner a larger stepping stone. 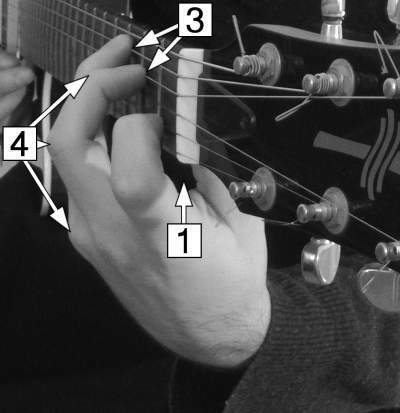 Getting the right technique can make all the difference in getting a clear chord. Technical issues and technique are covered in detail with picture examples. 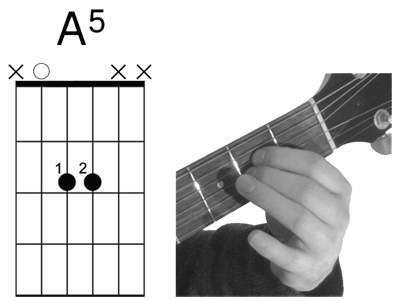 Some chords are shown in alternate fingerings to suit your preference. 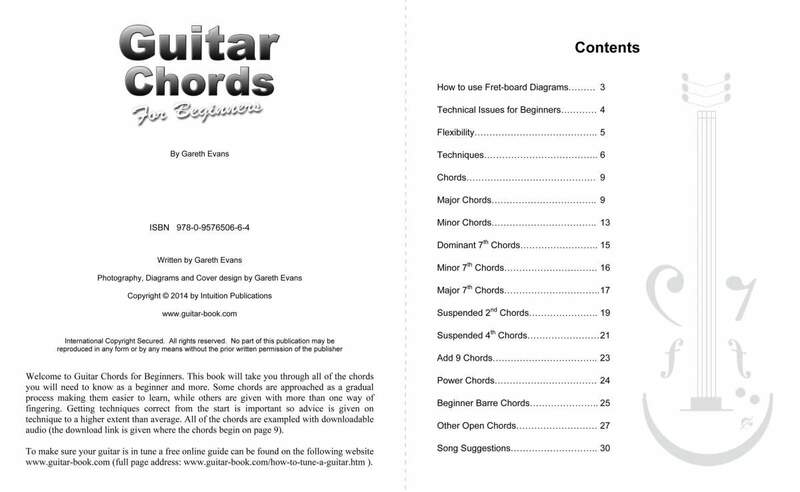 Introduction to movable Power chords & Barre chords. Barre chords are shown as cut-down versions of full major and minor barre chords giving you an incremental way to work up to the full versions.